Canon printers are one of the most sought after brands of printers around. The famous brand is a leading technology solutions provider - so does the Canon printe reviews clearly show. They have a wide array of products ranging from printers, fax machines, copiers, image filing systems, flatbed scanners, cameras, camcorders, lenses, and a lot of other imaging equipment. Since the company started in 1936, they have managed to establish a highly credible name in the business. Although the company initially started as a camera manufacturer, it eventually became a multi-product manufacturer, and a great one at that. What helped the company survive, however, is its endless commitment to innovation. And that can be seen based on its great printers alone. Canon printers have something special about them. They are made of the finest quality that has built the Canon name and comes with the most advanced technological innovations in the world of imaging and printing. There are a lot of Canon printers, but all of them are impressive that choosing one is quite difficult. Under their laser printers, they have both monochrome printers and color ones. Their photo inkjet printers include ordinary photo printers as well as their special Pixma Pro professional photo printers. Their regular inkjet printers are priced at around $79 to $249, while their Pixma products are more expensive, with prices starting at $499 to $849. They also have special compact photo printers named Selphy and large-format printers with the imagePRO GRAF technology, but these aren’t desktop printers. Finally, they also have two lines of multi-function printers. The MX series is made for the office, while the MP series is made for lab-quality, professional photo printing. The MP series are priced at around $69 up to $299, while the MX office all-in-ones start at $99 up to $399. You can choose from among their various offers to find the one that best suits your needs and your budget. There will surely be a Canon printer for you. Canon printers are highly esteemed because they are equipped with the latest technologies in image printing - so does the raving Canon printer reviews show us. There are many great features that can be found in printers made by Canon. With these printers, you can print documents and photos up to a resolution of 4800 x 1200 dpi with 2-picoliter ink droplets on the office printers and up to a soaring 9600 x 2400 dpi with extremely precise 1-picoliter ink droplets on the Pixma photo printers. Their all-in-ones are also equipped with print/scan/copy capabilities for their photo printers, but a fax machine is added to their office printers. Most of their models printers are also network-ready, and comes with a document feeder, MMC slots, PictBridge ports, and duplexer. They also have unique and breakthrough features such as Infrared-enabled printers and Bluetooth connection via optional Bluetooth adapters. Canon also offers the Auto Image Fix feature for fast and convenient correction of images before you print. Canon also uses the Dual Color Gamut Processing Technology for their copiers, and 10-color pigment inks for their Pixma Pro series. Obviously, these are features you won’t easily find from other brands. There is no need to ask what consumers think about Canon and its printers, especially the Canon All in One Printers and the Canon inkjets. Highly credible is actually an understatement when describing Canon considering that the company has won countless awards such as Fortune’s Most Admired Companies in America and also made it as one of Business Week’s Top 100 Brands. Consumers feel at ease with printers they buy from Canon and expert reviewers need little time to figure out just how great printers from Canon are. Canon Pixma Printer Expect Nothing Less - With a Canon Pixma printer, you can expect nothing less but the sharpest, most precise, lab-quality prints. Canon is indeed very proud of its Pixma printers. Canon Inkjet Printers - With top ratings all over, Canon inkjet printers is the right choice if you are looking for a printer that can bring you the finest quality prints. 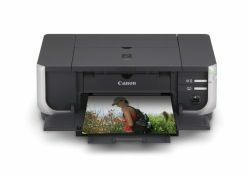 Canon MX700 - The Most Recommended All-in-One Office Photo Printer -The Canon MX700 printer is one of the most well-known all-in-one photo printers from Canon. Canon MP470 - A Bestselling All-in-One Photo Printer for Your Home - The Canon MP470 is a printer designed to increase your productivity, whether you’re at home or in the office. Canon MP610 - The Most User-Friendly Photo All-in-One Printer - The Canon MP610 is one of the bestselling printers under Canon’s all-in-one inkjet photo printers. It can be used at home and in the office. Canon MP600 Printer - Multi-taskers rejoiced when the Canon MP600 was introduced. Excellently engineered, the printer combines three great functions in just one stylish, attractive package. Canon i9900 - Your Perfect Photo Printing Solution - The Canon i9900 can breathe life into your colored prints. This printer is one of Canon’s best offers. Canon iP4200 The Canon iP4200 belongs to Canon’s remarkable inkjet printer collection. This photo printer is a home-dedicated printer that can produce the finest, sharpest photos even at home. Canon S9000 - A Large-Format Photo Printer with a Lot to Boast Of - The Canon S9000 printer powerfully combines speed, excellent color capture, and undeniable quality in just one machine built to meet a myriad of printing needs, even those as large as 13” x 19”.